There was a time in my life during which I would have laughed in your face, and started choking on Haribo Tangfastics, should you suggest I would ever talk about yoga on this blog or, in fact, actually do yoga. Luckily, that time has been and gone and now we are left with a more yoga welcoming Mia. Mia 2.0 spiritual explorer and yoga extraordinaire. You can't see it because we're on a blog but right now I'm doing my best yoga pose at you. Right now. It's really a shame you can't see because this is definitely the best pose ever. I don't think much in terms of spirituality in my life but I reflect a lot on the bigger questions in the universe and have come to recognise that maybe that's basically the same thing. I have also come to understand that even though I love science and everything associated with it there's nothing wrong with a bit of peering into the void every now and then and listening for something peering back. There is also nothing wrong with staring deep into yourself every once in a while. What I do know for certain is that yoga helps me recharge my creativity and shoo away my demons. Exercise, I find, is great for basically punishing yourself in the most excruciating way possible. It is also great for sprinting and then getting shin splints and not even knowing the stabbing pain in your leg had a name until somebody let's you know other people feel this way too occasionally and you're not dying. It is also great for breathlessness, practicing apocalypse scenarios, and getting stronger. For me, exercise of the heart thumping variety is not so great for contemplation. Yoga is. It refuels me, keeps me going, and is a joy to dabble in. If I've learned one thing in my time it's that you can yoga basically anywhere and on anything in the world. Chair yoga is great for quick boosts in calm. Home yoga is good if you, like me, feel awkward about that one dude who invariably falls asleep in yoga class and starts snoring and even telling you about this I feel like I've betrayed the sanctity of yoga but it's fine he can snore if he wants there's nothing wrong with a snorer. Yoga comes in many varieties and when I started (like many people) I didn't know this. I didn't know there were, like, a thousand different types and prior to my exploration I just hadn't found one that suited me. I didn't know there were entire yoga classes where all you do is stretch, and ask your mind to stretch with your body. Even writing that sounds a little bit too deep for me, and we're teetering in unchartered territory for this blog, but what I'm saying is my fave yoga is Yin yoga because it gives my mind space to just kind of be for a little while. It helps my creativity recharge. I think the best approach to yoga is to try and see what suits you (and if it suits you). 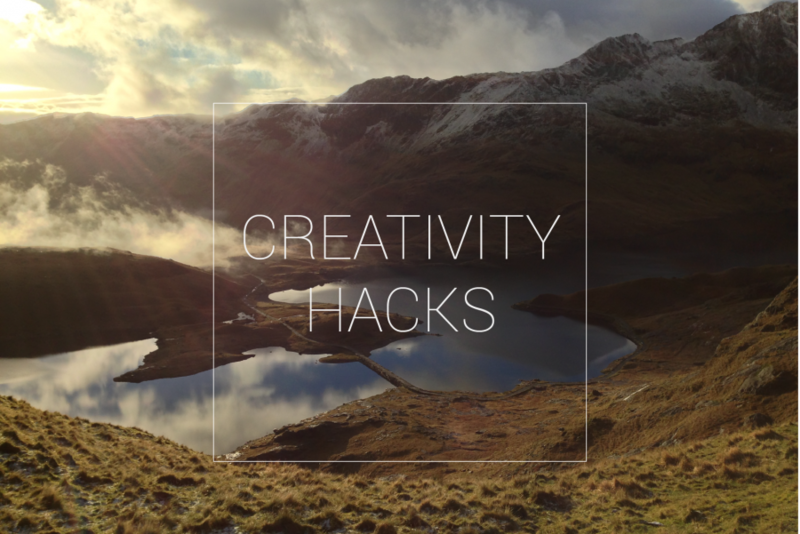 We're all different and need different things to keep our creativity flowing, after all. I don't yoga that often. I could easily yoga daily, or weekly, if I needed but in all honesty I do yoga when my mind feels cluttered and my creativity wanes. That could be as often as every day or as little as once a month. Maybe people who use yoga for other purposes would see this as chaotic. Maybe you're not supposed to yoga willy nilly or like a maverick but it feels right for me and I think when it comes to creativity you've got to do you above all else.